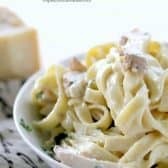 If you’ve wondered how to make Chicken Alfredo with less calories and loads of flavor, look no further. 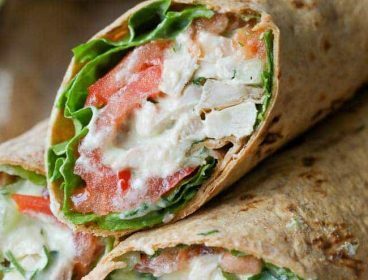 This recipe cuts the calories by about 65% yet gets rave reviews every time! 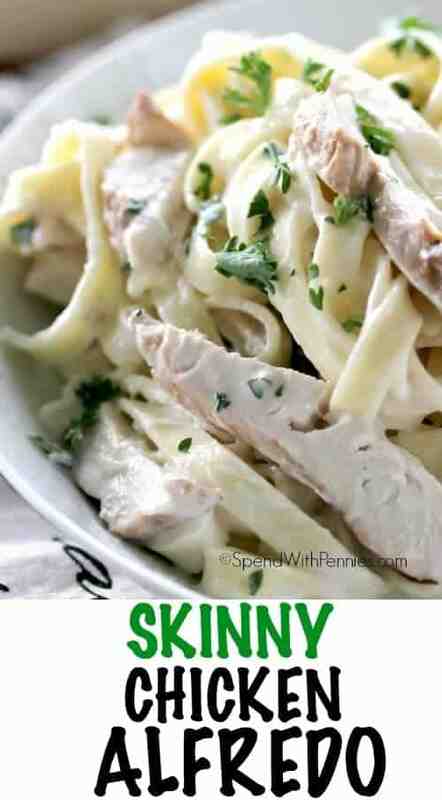 Chicken Alfredo.. delish! Seriously this is so good! 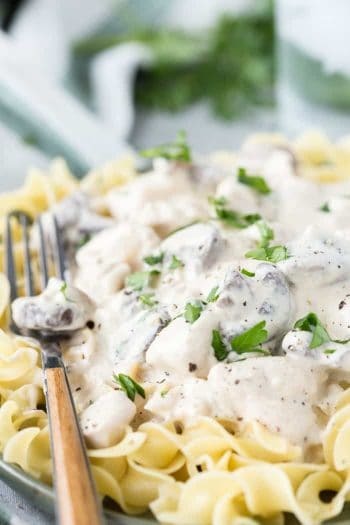 Did you know when you order Chicken Alfredo at your average restaurant, you are ordering a whopping 1200 – 1547 calories and up to 97 grams of fat! CRAZY huh? 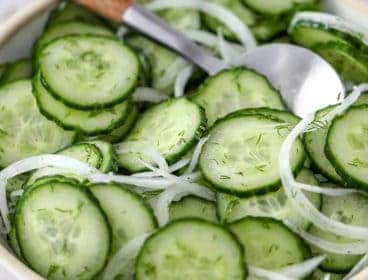 This recipe has just a fraction of the fat and calories with all of the flavor and only about 425 calories and 11 grams of fat. Much better! 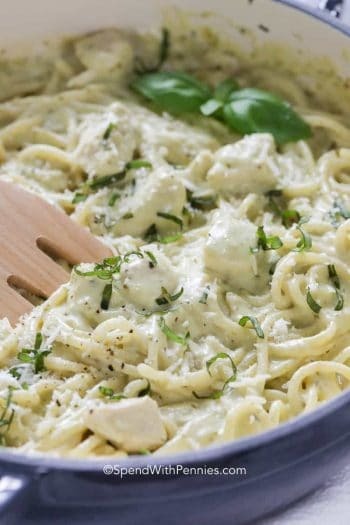 Alfredo is an absolute favorite of both of my girls, I think they would eat it every single day if they could. 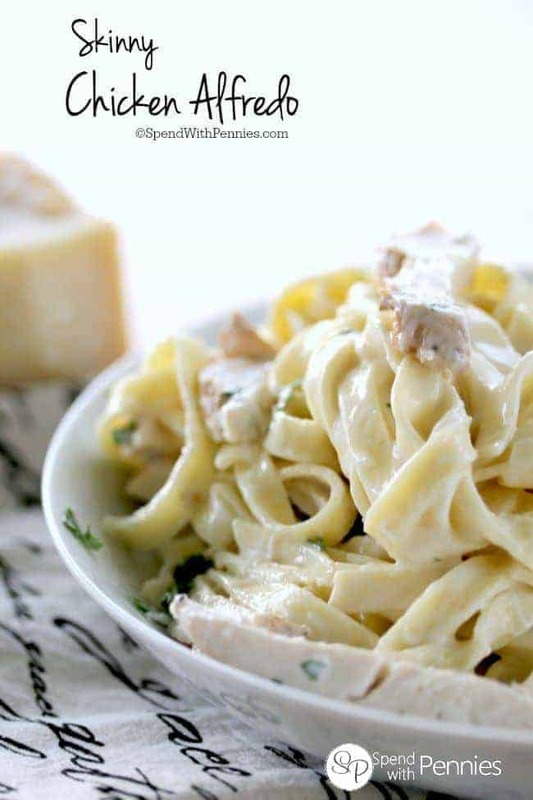 I decided it was time figure out how to make Chicken Fettuccine healthier for them and guess what… the results were AMAZING! 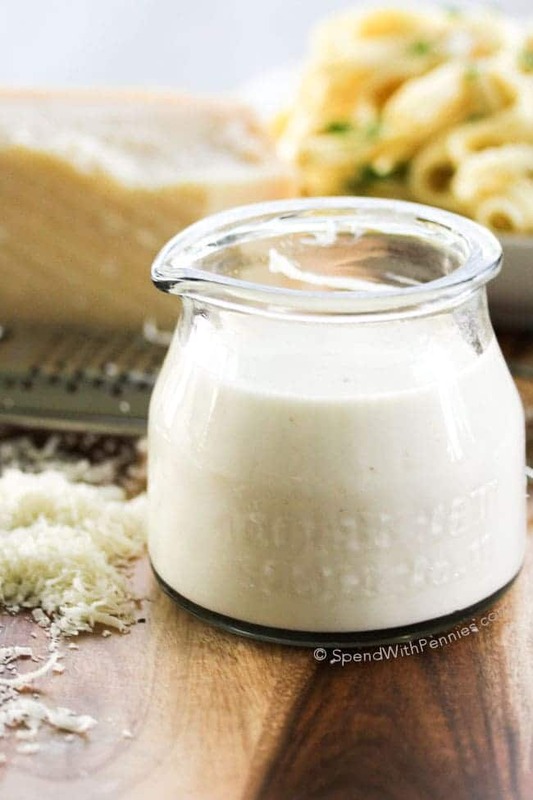 Honestly, this recipe will knock your socks off .. rich, creamy and oh so delicious!! 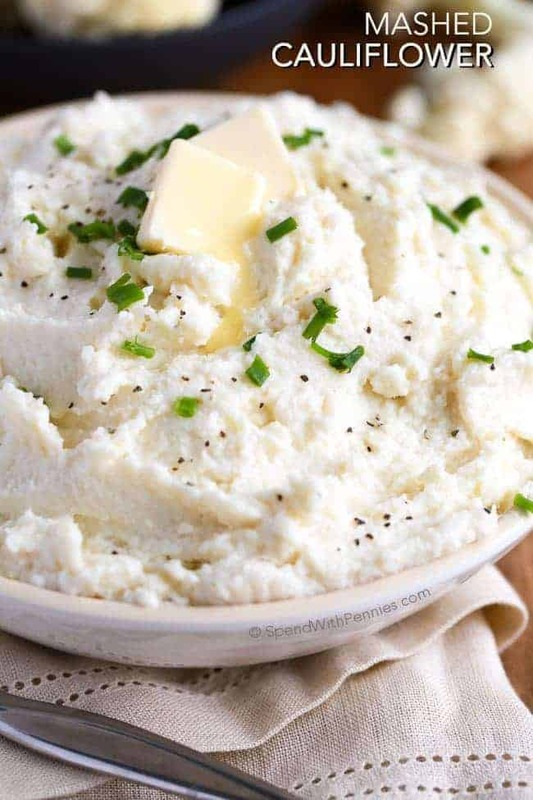 This has all of the flavor without all of the fat! 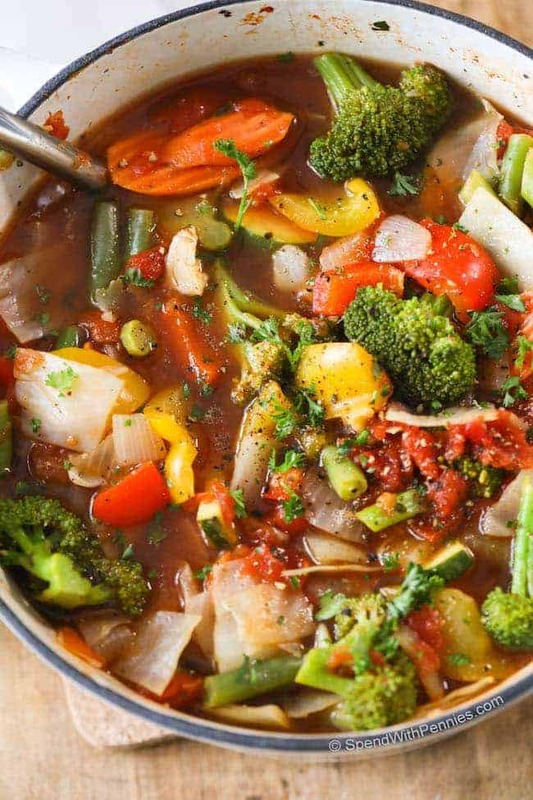 I sometimes add in steamed broccoli, asparagus or mushrooms to get some extra veggies in. 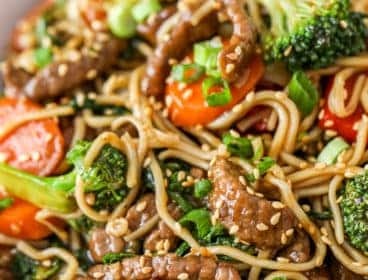 You can also use whole wheat noodles or even zucchini noodles if you have a spiralizer. 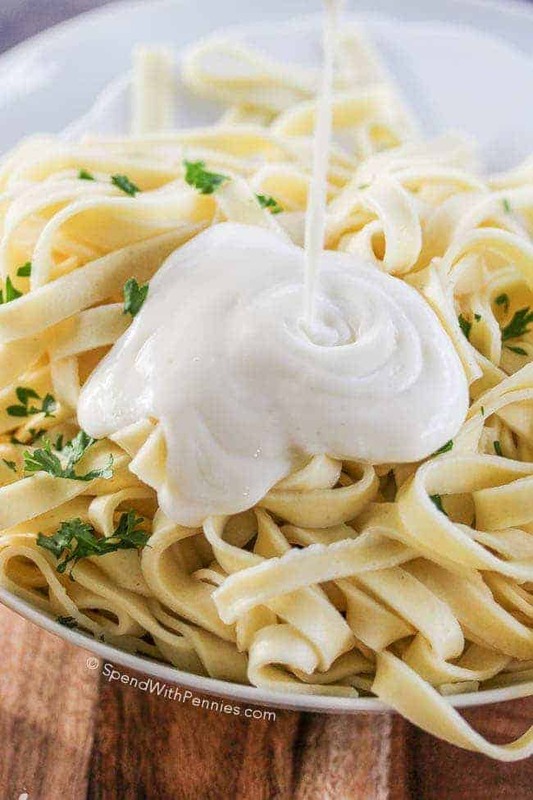 As I learned at our local culinary school, nutmeg is an ingredient that is commonly added to white sauces. You need just a small little pinch to add flavor to the sauce. 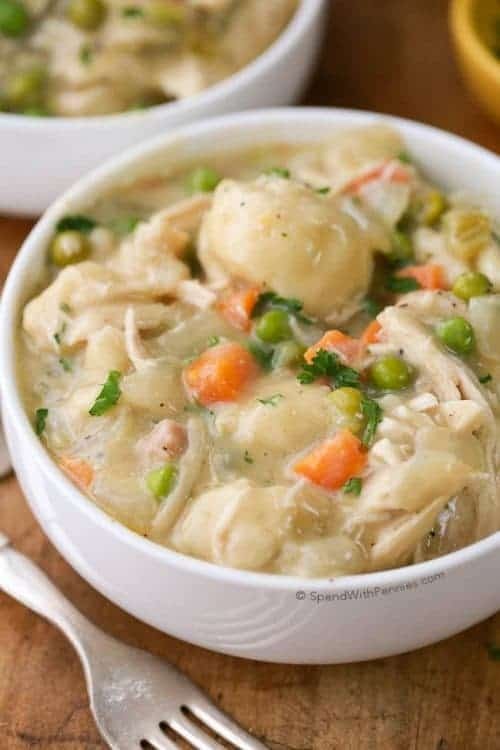 This recipe calls for 2 cups of cooked chicken. You can either cook the chicken with a little bit of non-stick spray in a frying pan, use a store bought rotisserie chicken or (my favorite) grill it! Over medium heat, put olive oil and garlic in a pan. Cook about 1 minute. Add flour to cold milk until dissolved and add to pan. 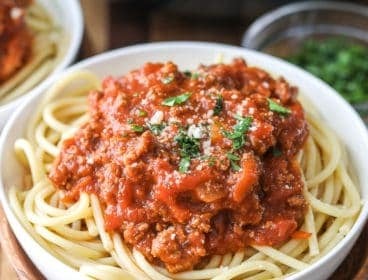 Cook over medium heat while stirring constantly. Once thickened, turn heat off stir in cream cheese, salt & nutmeg until melted. 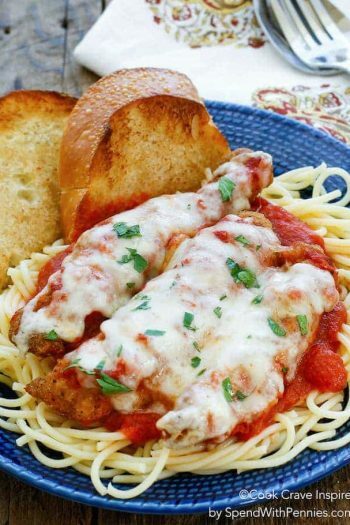 Add parmesan and chicken. Meanwhile, cook pasta according to package directions. 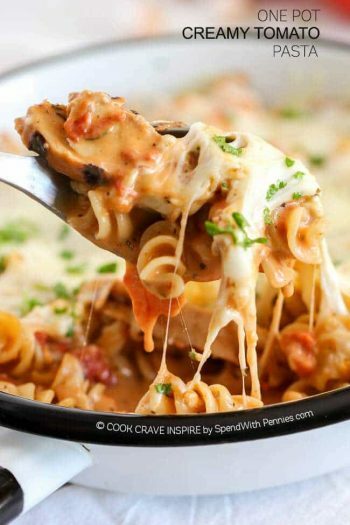 Toss pasta with sauce and top with parsley and additional cheese. 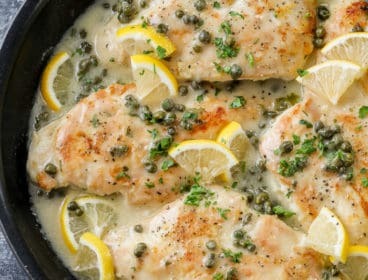 Note: The actual nutritional information on this recipe will vary based on ingredients used. 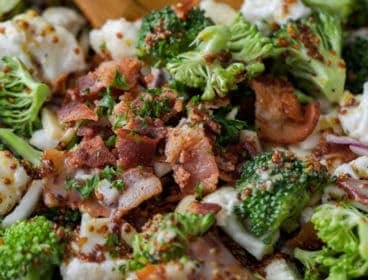 With 2% milk, this recipe using the brands I used made 4 servings at approximately 423 calories and 11g fat per serving. You can enter your information here to calculate your nutrition based on the ingredients and brands you’ve used. Information provided on this page is for informational purposes only.